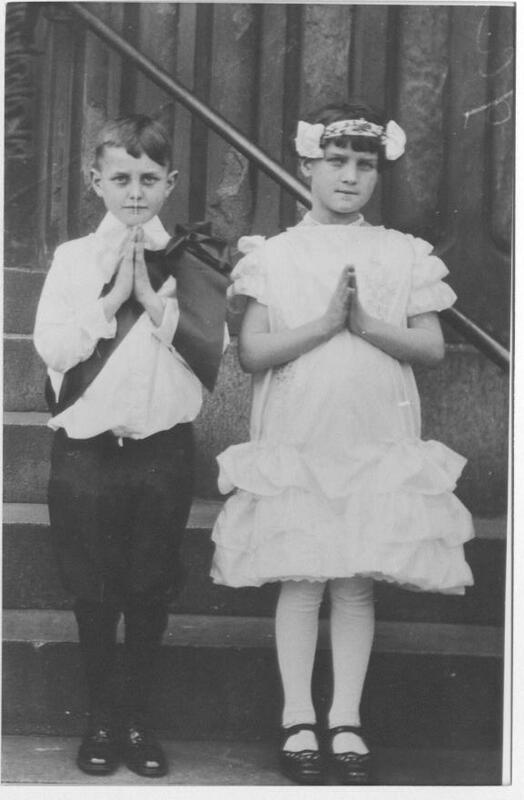 Comments: Madeline Cairnes (Nee: Quinn) | Philadelphia PA United States | 1901-1920 | Comments: My grandmother and her brother Francis (Mickey)Quinn. First communion?? or confirmation?? not sure which.